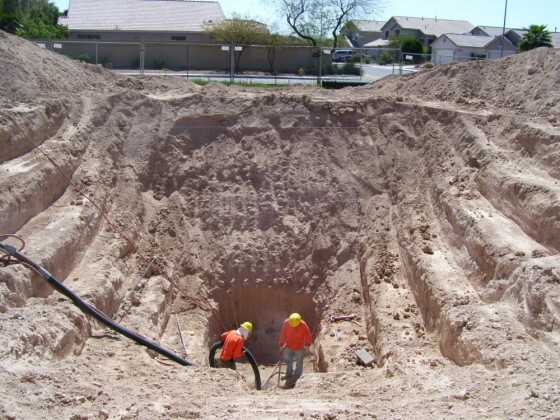 Description: ESI contracted with SSC to expose an existing storm drain that was identified using reliable as-builts and an electronic locating device, 19 ft. below the surface. An area 15 ft. x 40 ft. wide x 15 ft. deep was excavated with a trackhoe to allow the vacuum to excavate the last 4 ft. and safely expose the storm drain. Challenges: This was a challenging project for SSC as the buried storm drain was located so far from the Vacuum truck. Results: Vacuum excavation utilizes 95% air at a volume of 100+ PSI and 5% water to break up soil in record time. 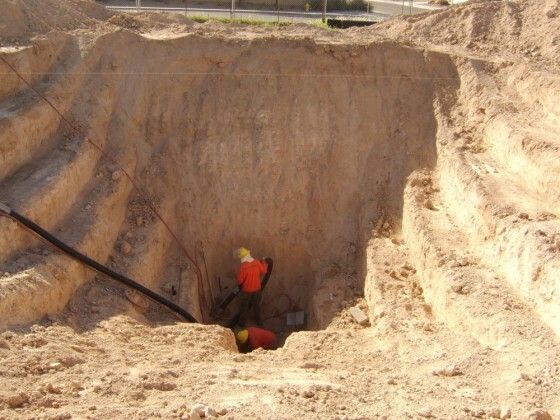 Using the powerful air-vacuum system allowed SSC to span the distance between the system and the excavation site and expose the utility as successfully as if it had been a routine potholing project.